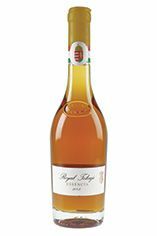 The Wine Advocate - The 2003 Essencia has a fabulous bouquet with profound scents of lemon curd, frangipane, apple crumble, dandelion, wild mushroom and a slight adhesive note. The palate is extraordinarily pure with perfect acidity. It is perfectly focused with a crescendo of honey, quince, and Seville orange marmalade with lemon peel. This is out of this world. A white grape variety grown in Hungary and Slovakia and the main ingredient of Tokaji Aszú. It is an early budding late ripening variety and and is particularly susceptible to botrytis. Its wines are characterised by their high alcohol levels (sometimes as much as 14%) and their high acidity - it is the latter which gives Tokaji wines their longevity. It is most commonly planted in the Tokaj-Hegyalja region and is usually blended with Harslevelu and sometimes Muscat to produce Tokaji Aszú. The grape is also grown widely to produce acidic but sturdy dry white wine. The Tokaj wine region lies 240 kms north-east of Budapest in Hungary, at the confluence of the Tisza and Bodrog rivers. Tokaj enjoys long sunny summers, while dry autumns and the early morning mists, created by the meeting of the two rivers, encourage the development of noble rot on grapes. The Botrytis Cinerea makes the berries dry and shrivel, thus concentrating the compounds and developing the Aszú grapes. Furmint is the dominant grape in Tokaji, and Aszú in the name refers simply to the dried, nobly-rotted grapes, which are hand-picked from the vines. The number of puttonyos is an indication of sweetness, with 2 the driest and 6 the sweetest. A 3-Puttonyos Tokaji indicates at least 60g of residual sugar, 4 indicates at least 90g, 5 at least 120g and 6 at least 150g. From 2015 the new minimum is set to 130g of residual sugar per litre,and the 3 and 4 ‘Puttonyos’ categories are eliminated. A wine of 7 puttonyos is known as Aszú Essencia and is only produced in the very best years. Aszú Essencia is incredibly sweet and is one of the greatest dessert wines in the world. By the end of the 17th century, Tokaji aszu wines were so well regarded throughout the Royal Courts of Europe, that Prince Rakoczi was urged to classify all the finest vineyards around the 28 villages in the region. 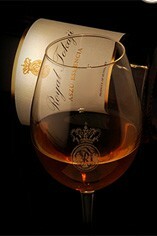 Thus, the Tokaji wine region has the distinction of being Europe’s first classified wine region.